The view from the window and the very friendly hosts. Very quiet at night. Although located on the hill overlooking the city it only took us 10 min to walk downtown. Coming back we got a cab and it cost only $3.50 ---better than driving ourselves and worrying about finding parking. Large apt, very comfortable. The view to the city and the mountains was amazing. The hosts were very kind, and we felt like we are in our home. 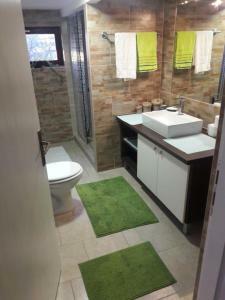 The apartment is comfortable, clean and beautifully designed. It is located only ten minutes from the city center, and it is very easy to get around from there. 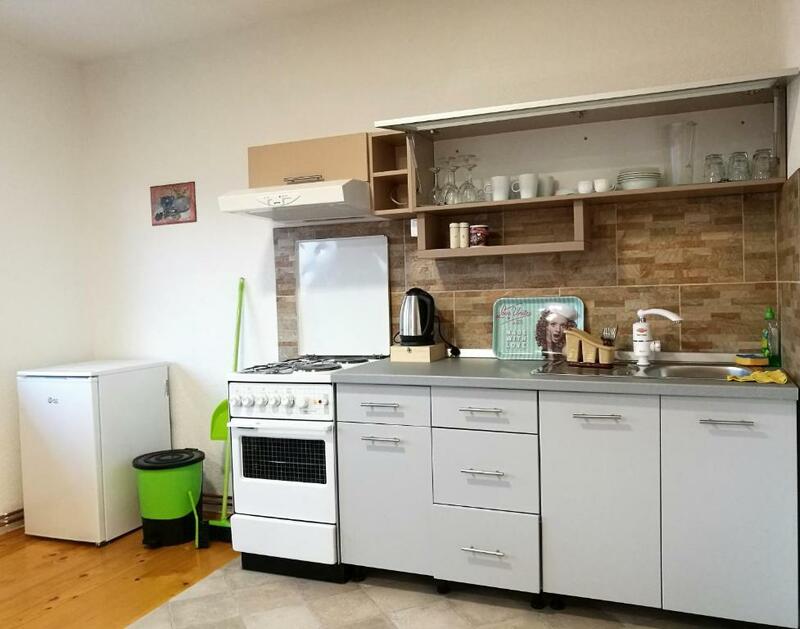 Wir haben als Gruppe aus Deutschland (4 Personen) dieses Apartment gemietet. Wir wurden herzlich empfangen. Wir hatten ein Stockwerk für uns. Der Gastgeber Fuad war sehr zuvorkommend und freundlich. Die Zimmer waren sauber. Die Lage ist atemberaubend und einzigartig und doch sehr ruhig. Domaćini vrlo prijatni i ljubazni, smeštaj i bolji od očekivanog, pogled koji oduzima dah. Lokacija, opremljenost, komfor - sve je savršeno. Sve preporuke, mesto kojem ćemo se rado vraćati! Ljubazni i susretljivi domaćini, spremni pomoći u svakom trenutku. Apartman se nalazi na poziciji s prekrasnim pogledom na grad. Apartman ima besplatni parking i nalazi se na 15 minuta hoda od Baščaršije. Bámulatos kilátás az egész városra, az Óváros 10 percre gyalog. A szállás kellemes, nagyon tiszta, tágas. 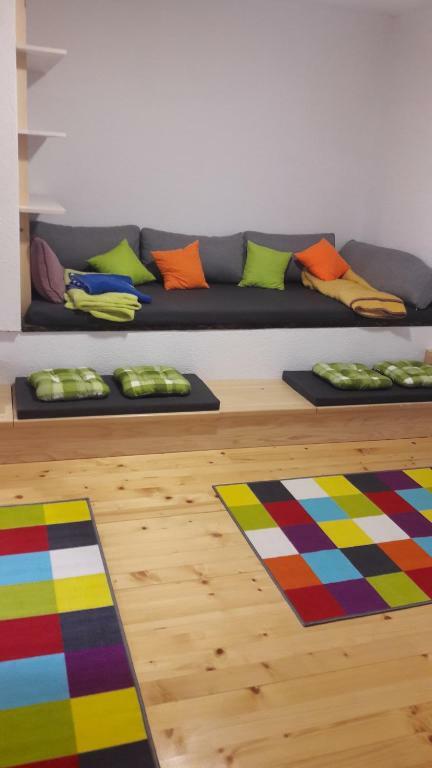 Lock in a great price for Sarajevo 180° – rated 9.7 by recent guests! One of our best sellers in Sarajevo! 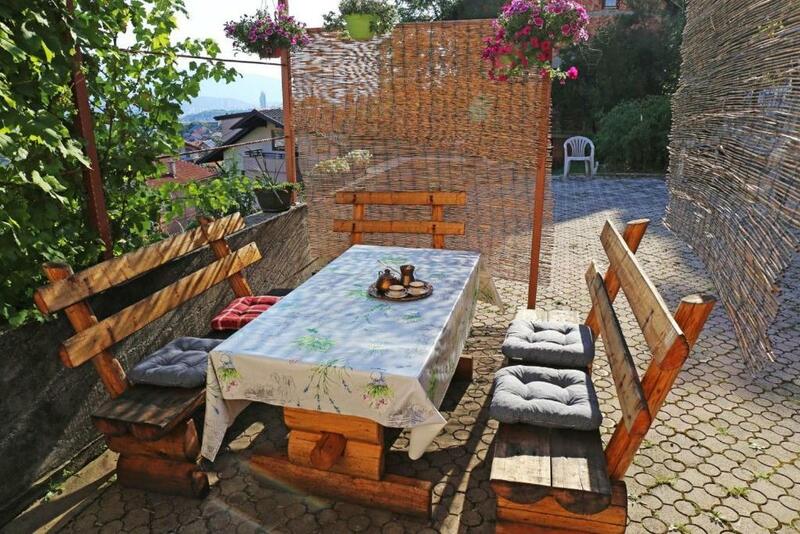 Featuring a garden, Sarajevo 180° offers accommodations in Sarajevo, an 18-minute walk from Bascarsija Street and 0.9 miles from Sebilj Fountain. 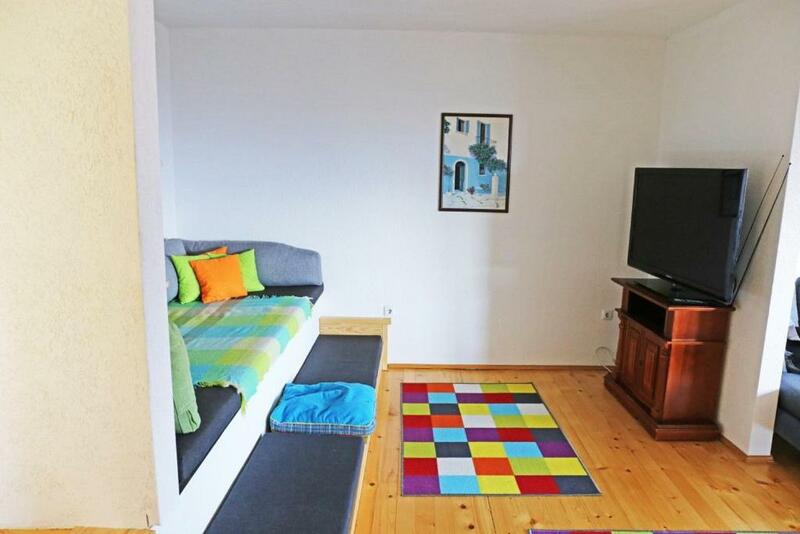 This apartment provides accommodations with free WiFi. The apartment comes with 2 separate bedrooms, 1 bathroom, a fully equipped kitchen with a dining area, and a flat-screen TV. Latin bridge is 1.2 miles from Sarajevo 180°. 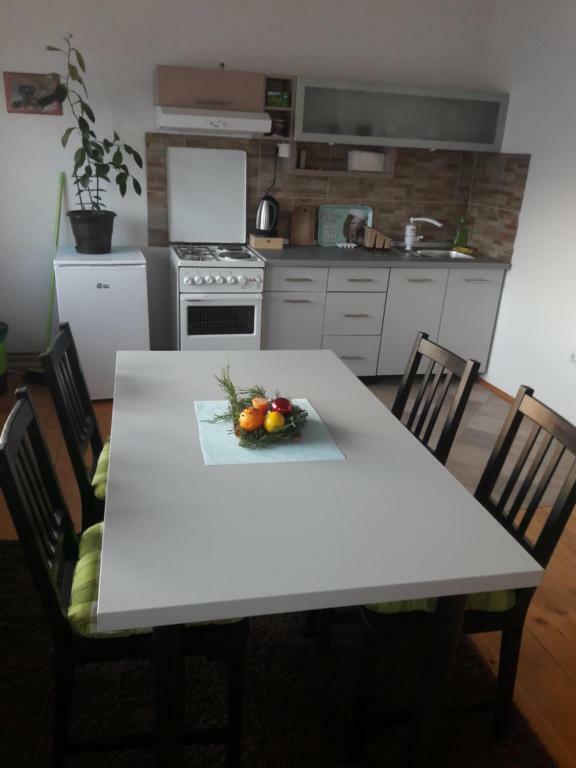 The nearest airport is Sarajevo Airport, 9 miles from the property. When would you like to stay at Sarajevo 180°? Set in Sarajevo, this apartment features a large terrace and with a beautiful view on the city and Olympic mountains. Guests can benefit from free WiFi and private parking available on site. 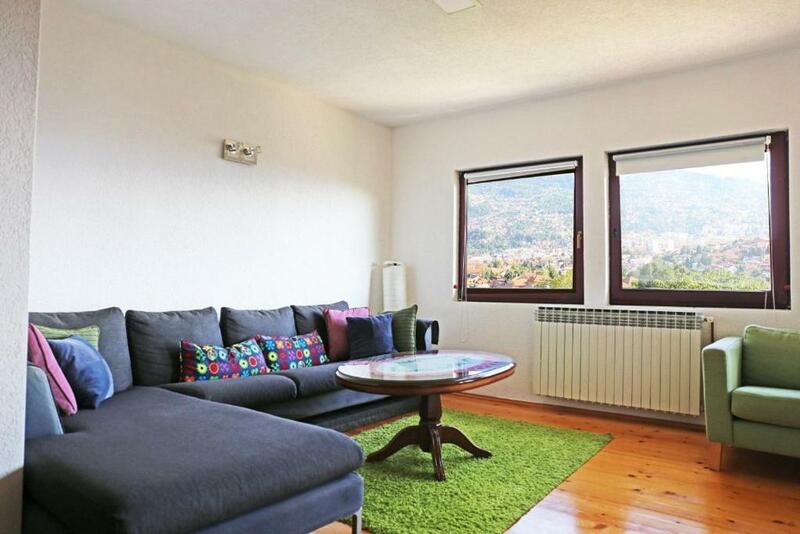 What makes Sarajevo 180 different is its Spaciousness and feel like at home enviroment. Guests can use some rest in a TV room or just relax and talk in a living room. Neighborhood is very quiet and peaceful. There is a Very famous restaurant" "Kibe Mahala" just 50 meters away from the property, which is visited by worldwide known hollywood stars and politicians every year. 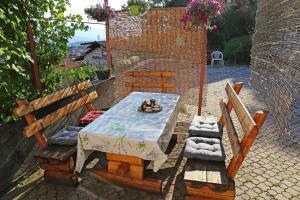 House Rules Sarajevo 180° takes special requests – add in the next step! Please inform Sarajevo 180° of your expected arrival time in advance. You can use the Special Requests box when booking, or contact the property directly using the contact details in your confirmation. It's a bit tiring to walk up the hill and reach the apartment, but it was fine with me. Taxis are also very cheap and can easily get you up there, if needed. Nothing bad can be said about this property. We liked our friendly hosts.